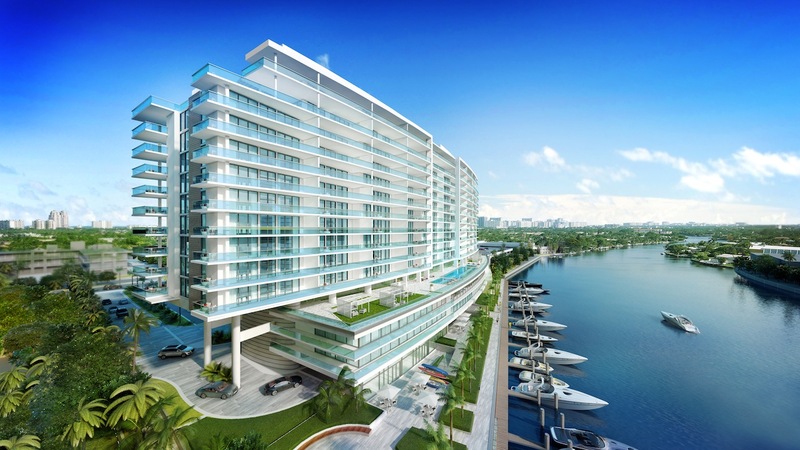 Riva Condo is the newest preconstruction building to grace the skyline of Fort Lauderdale, Florida. This 100 unit condo is located directly on the middle river. Each one of its 15 stories will maximize its views of the Middle River, George English Park and the Atlantic Ocean. The Riva will rest on two acres of waterfront just a block north of Sunrise Blvd. The Riva Condo will have an Italian design and flair, meshing luxury ammenities and stylings with practical living spaces. The Riva in Fort Lauderale will have ammenities the will compete with any five start hotel in the area. 40,000 square feet has been dedicated to the new residents of the condo. Owners at Riva will be able to enjoy a 65′ lap pool, a luxurious spa, gym, lounge and dog walk. Residents will also have access and the option of purchasing dock slips located just behind the condo building. Residents can rest assure the Riva Condo is built with the best materials and design in mind. The developer Bradley Deckelbaum is highly respected in the luxury development market of Florida. Potential residents have the options of choosing from units ranging from 1,500 sq/ft up to more the 2,500 sq/ft. 9 foot ceilings allow each unit to receive the maximum amount of sunlight in Fort Lauderdale as well as amazing views. There are large terraces for each of the units Riva to compliment the large floorplans. Many of them have summer kitchens. The finishes at Riva Condo are all top of the line, consisting of rare marbles and woods. Each kitchen is also appointed with only the highest quality and modern Subzero stainless steel appliances. 10 different floor plans at that the Riva Fort Lauderdale Condo allow residents to match their exact needs with a condo unit that they will enjoy forever. The location of the Riva Condo is great for young professionals, families and retirees. Residents have easy access to Federal Hwy, the Galleria Mall, the beach and parks.